Son of Willie and Mary Leaver, of 22, Fletcher St., Nelson, Lancs. Pte. Jno. 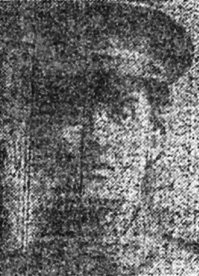 Leaver, of the King's Shropshire Light Infantry, whose home is at 283, Southfield street, Nelson, has been killed in action. He was 21 years of age.